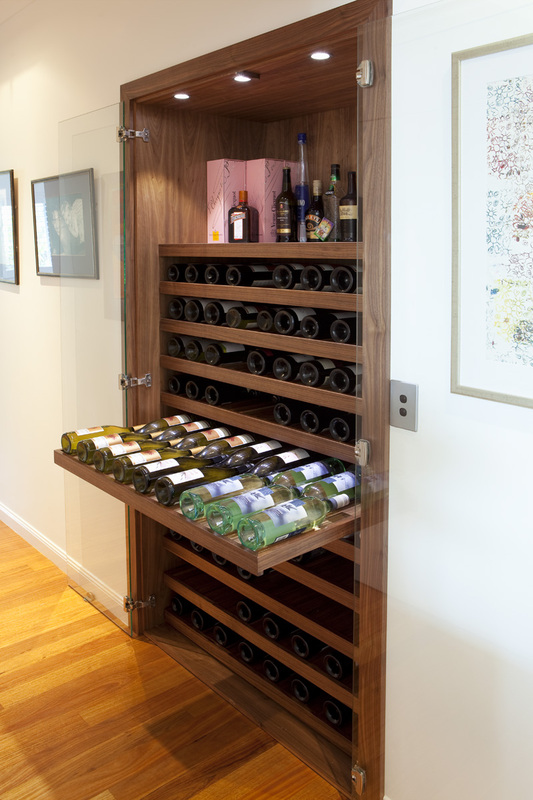 This wine rack was designed and made to fit an old closet. 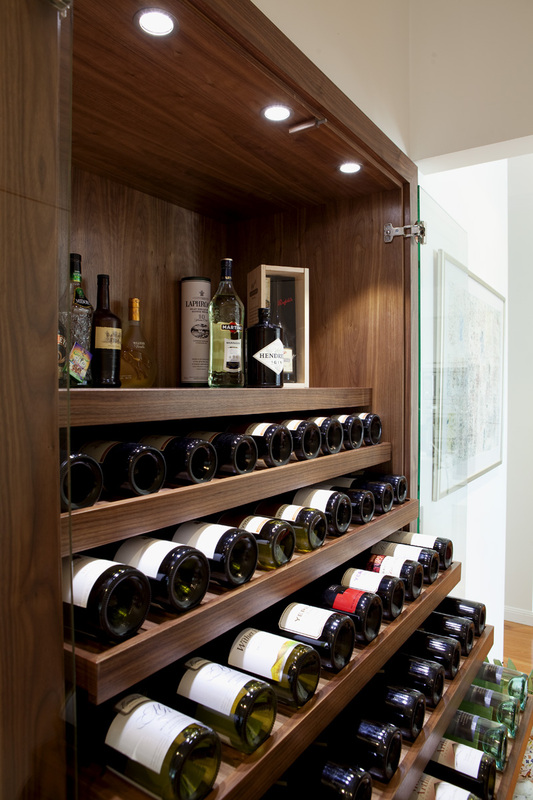 The shelves were designed to fit 180 bottles of varying width. 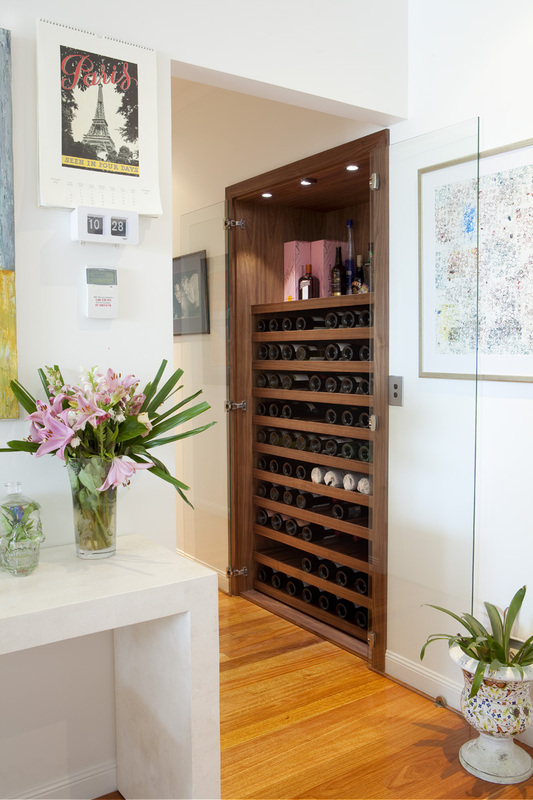 The wine rack was fitted with LED lights and glass doors. 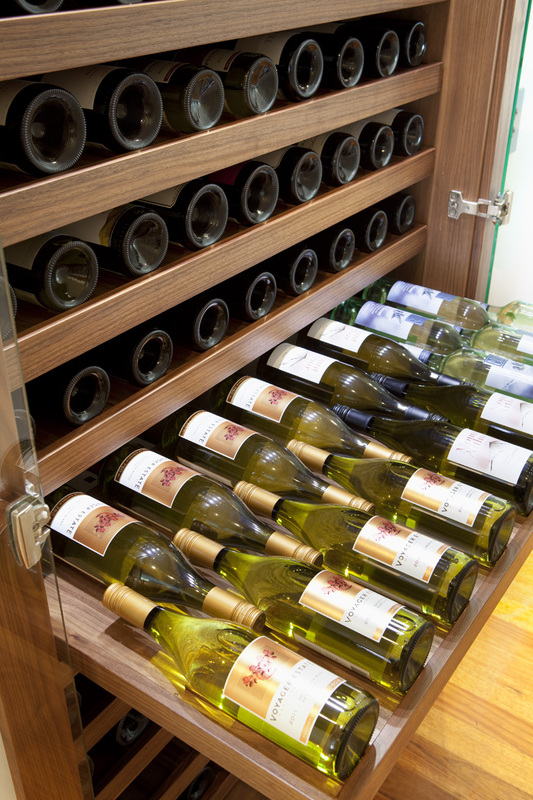 The drawers pull out to easily access the wine bottles front and back.